Ever since the trailer released, the craze for Rajnikanth’s Kabali has become even more massive. Slated for a July release, the film is waited with beated breadth all over the world. Meanwhile, latest update reveals that the competition for the Telugu theatrical rights has heated up big time. Several renowned production houses are making due plans for bagging these rights and are ready to shell some huge amounts. 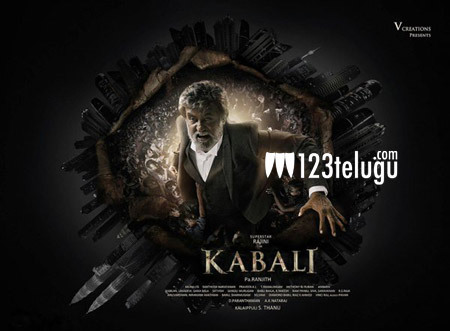 As Rajnikanth is a huge star all over, trade pundits reveal that the film will have some massive openings. If the film manages a decent talk, then the business of the film will surely double. Tollywood producers want to cash in on this craze and are going all guns blazing for the rights. Only time will tell as to who will bag these rights and release the film in Telugu.